How Popular Is CBD Oil? In case you haven’t heard the recent news, the CBD market is exploding right now. In fact, a recent report from cannabis industry analysts, the Brightfield Group, predicts that the CBD market will become a $22 billion market by 2022. With numbers like that, it’s easy to see why you may be interested in starting a CBD oil affiliate website. It’s also important to note that when the Brightfield Group made this prediction, the United States had not legalized hemp based CBD oil. Since the legal status of hemp based CBD oil has changed in the US and its legal in Canada, the market is now larger than it ever has been before. Best of all, it’s still a very new marketplace with plenty of room for newcomers. If you’re trying to find quality CBD oil as a consumer, it’s challenging to have a conversation with people in the know and not hear about Joy Organics. This is because they have built a reputation among consumers of offering quality products at reasonable prices. They offer an organic line of pharmaceutical grade CBD products that are all made in the United States. On top of that, they also offer many different products specifically designed for customers suffering from individual ailments. From their capsules that have melatonin included with CBD for helping with sleep to their lines of vape pens, energy drink mix, skin and facial creams and even dog treats, Joy Organics can give you a large variety of different products to choose from on your affiliate website. Combine their massive product catalog, reputation and generous commission rate of 25% and you have one very strong partner in your corner for promoting CBD based products. The Charlotte’s Web strain of cannabis made national headlines just a few years ago thanks to one patient, Charlotte Figi. Charlotte was a little girl who suffered from a rare form of epilepsy called Dravet syndrome. At one point, she was having hundreds of seizures every single day. After using a unique strain of medical cannabis that was bred to have high levels of CBD with almost no THC, Charlotte’s family and caregivers were able to get her seizures down to just a few per week instead of hundreds per day. You may be wondering what this has to do with affiliate marketing, but part of the challenge to getting people to buy any product is educating them about what the product is and what the product does. Thanks to the media coverage of this specific strain, many people have already heard of Charlotte’s Web and know that it is a CBD product. There affiliate program is very impressive and offers a variety of products that have all been created from the Charlotte’s Web hemp strain. While there commission rates are a little lower than some of the other programs on this list, thanks to their reputation in media coverage, it’s one program that you may want to look into further. Hemp Bomb’s has a unique and engaging user experience for potential customers that is backed by some stellar customer service, based on user reviews.  This company has a variety of different products at many different price points, so there’s something for everyone on the site. Their commission rates start between 10% and 20%, which is right around the industry average. One thing that really sets this platform apart from many others on this list is that they pay out weekly via PayPal. Thanks to weekly payouts and an impressive 30-day cookie duration, this is one site you can’t go wrong with. When it comes to getting brand recognition among CBD companies, few can compete with cbdMD. Not only are they the founders of National CBD Day, they have also gained endorsements from professional athletes and celebrities. There are a lot of people out there who say this company is their brand of choice when it comes to CBD products. Their affiliate program is very generous and offers commission rates that start at 20% and can increase over time. They offer a large variety of products at reasonable prices that your customers are sure to be happy with. CBDPure offers one of the highest commission rates in the industry coming in at 40%. They have an impressive product catalog and offer customers a 90 day guarantee on their purchases. This guarantee will help your visitors buy with confidence and is a great selling point that not too many other CBD affiliate programs offer. 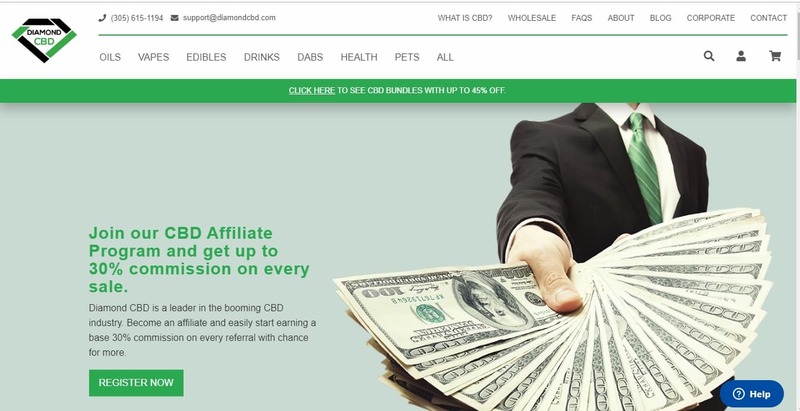 I recently did a full CBDPure Affiliate Program Review that you can check out for more information on this one. Diamond CBD has a massive product catalog that features some of the industries most popular brands. From Chong’s Choice to CBD Double Shot, you can find a large selection of very popular brands at reasonable prices on their site. They are also one of the few sites out there that offer CBD products in dab and vape form. If you’re familiar with CBD and cannabis culture, you’re probably already aware of just how popular these two product lines can be. They offer an impressive cookie duration of 60 days and a great commission rate of 30%. If you’re struggling to find a potential CBD product to promote, spend a little bit of time on their site and you’re sure to come away with quite a few different products to offer to your audience. Many people enjoy consuming their CBD by vape being. However, most affiliate programs and retailers out there don’t have a very large selection of different CBD vape products. That certainly isn’t the case with Vape Bright. They offer an incredible line of different pre filled vape devices, vape cartridges, E liquids and much more. 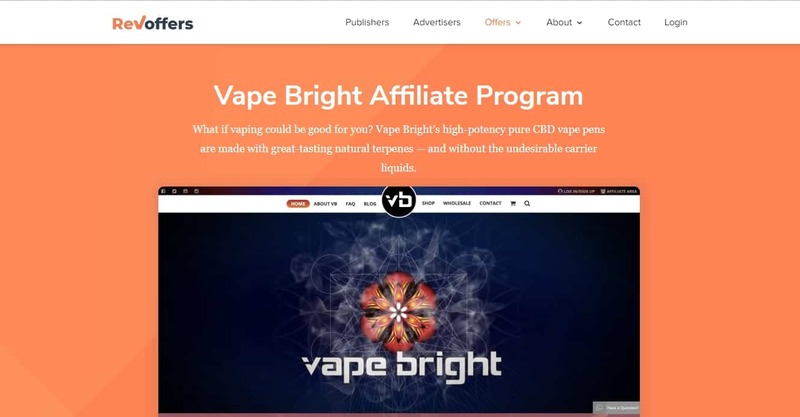 Their large catalog of vape products combined with an impressive 25% commission and 60 day cookie duration makes the Vape Bright affiliate program really stand out for marketers who want to promote CBD in vape form. 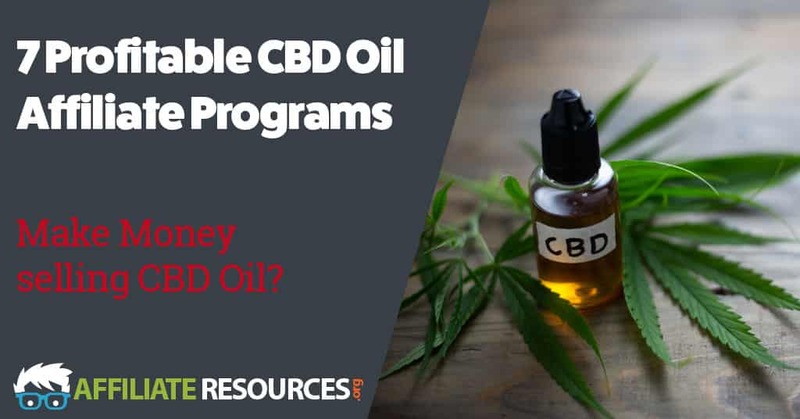 As you can see from the above list of CBD affiliate programs, this is one niche that you really should pay attention to. It has impressive forecasted earnings and is gaining media attention like crazy. If you’re ready to jump in and claim your piece of the CBD pie, take a moment to check out my top recommended resource. Once there you can learn how to build your own profitable online business and take your affiliate earnings, in the CBD niche or any other, to a whole new level.